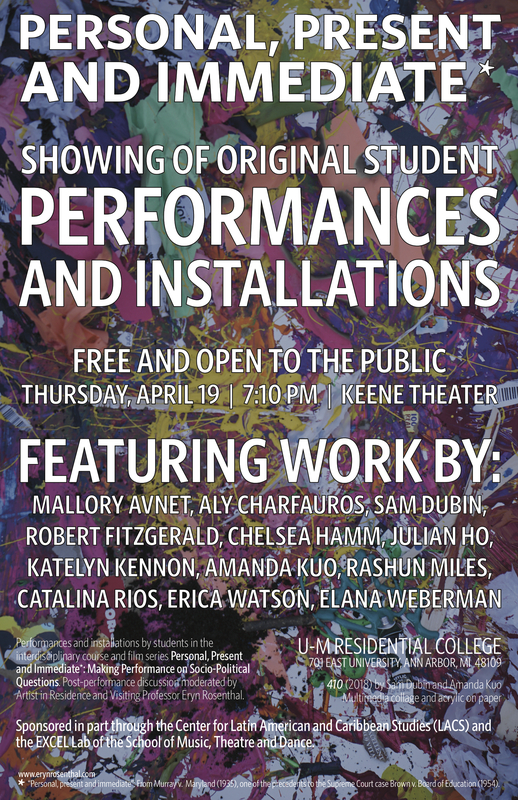 These original performances and installations are the culminating work of students in the interdisciplinary course and film series Personal, Present and Immediate*: Making Performance on Socio-Political Questions. Post-performance discussion moderated by Artist in Residence and Visiting Professor Eryn Rosenthal, followed by a brief reception. Sponsored in part through the Center for Latin American and Caribbean Studies (LACS) and the EXCEL Lab of the School of Music, Theatre and Dance.